When U.S. President Barack Obama chose Poland to begin a four-day European trip, he sent a message about the country’s importance in the attempt to stand down Russia over Ukraine. Russian President Vladimir Putin’s threatening moves against Kyiv have cast a shadow over Obama’s visit, rekindling old fears among the new democracies of the former East Bloc. None of those nations, experts say, comes close to Poland in terms of size, symbolism and geo-political importance. “It’s a rising power in Europe,” said Nile Gardiner, who directs the Heritage Foundation’s Margaret Thatcher Center for Freedom. 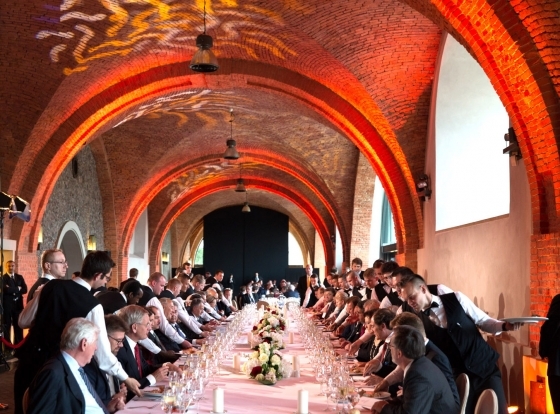 “By its sheer size alone, as the largest post-communist nation in the European Union, Poland carries significant weight. [It’s] really the frontline of the NATO alliance, and, together with the Baltic states, a bulwark against Russia,” he said. Following Russia’s annexation of Crimea in March, and Moscow’s ongoing efforts to destabilize eastern Ukraine, Poland’s relevance has only increased. 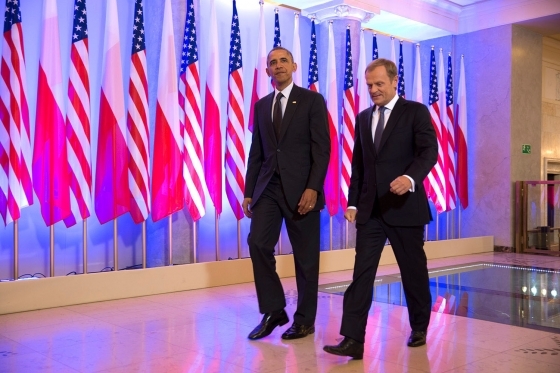 US president Obama and Polish prime minister Donald Tusk. Official White House Photo: Pete Souza. “For Ukrainian reformers, Poland is the model they wish to emulate,” said Michael Mandelbaum, a scholar at John Hopkins University’s School of Advanced International Studies. “It’s a neighbor – with cultural affinities and a shared history for at least half of Ukraine’s population – that’s done far better,” he said. The Polish experience of the last quarter century in emerging from communist rule and integrating into the West is blazing a path for its eastern neighbors. “If Ukraine could go the way of Poland politically and economically – in terms of rule of law and anti-corruption – [Kyiv] would be lucky indeed,” said Richard Fontaine, president of the Center for a New American Security. Moreover, the views of Polish experts on regional issues involving Russia, Belarus and Ukraine are “taken very seriously in Washington and often provoke a vigorous exchange with policy makers here, he said. Polish and other regional leaders have argued repeatedly that Russia’s annexation of Crimea has upended international law and violated a NATO-Russia post-Cold War agreement in which the western alliance said it would not deploy large numbers of troops in its eastern areas. President Obama on Tuesday revealed a $1 billion plan to bolster security in central and eastern Europe in the face of Russian threats through additional U.S. troop deployments, training and equipment. He chose to stand in a military hanger in Warsaw to make that announcement. In April, the United States sent the first of a few hundred troops to Poland as a symbol of that commitment, but it was far short of the 10,000 Poland wants permanently based.